Once your device is recognized, click the Jailbreak button to begin. Let the program run its processes for the jailbreak. Once the Absinthe is done, the rest takes place on your device. 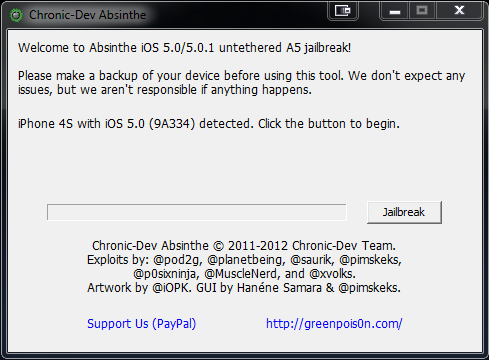 You should find the Absinthe app on your springboard. Tap it to launch the program. 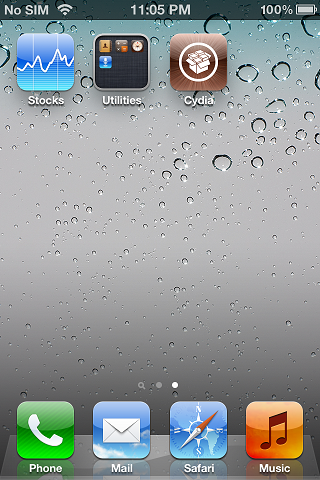 Once your device reboots, you should have Cydia.